Written by NAFCU's highly-regarded compliance team, the 2019 Credit Union Compliance GPS is a must-have, electronic resource for all credit union compliance professionals. It explains complex regulatory language in plain English and covers everything from the basic anatomy of a federal credit union to specifics of the NCUA, CFPB, and important credit union regulations including Reg E, BSA and much more. One purchase lets you share the manual with your entire organization. Questions? Check out our FAQs or contact our Member Services Center directly. Already Purchased? 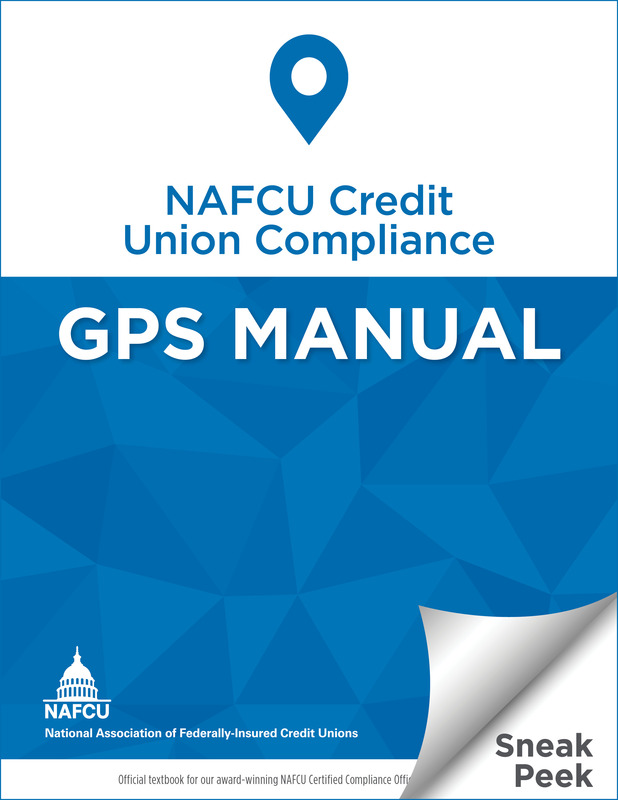 Download the latest version of the Credit Union Compliance GPS. Please allow 1 business day from purchase for access to be granted.